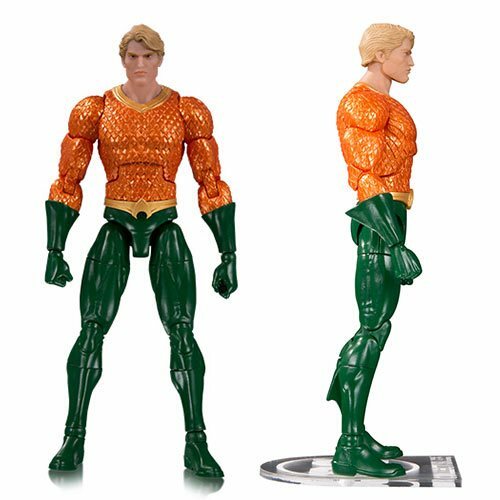 The DC Essentials Aquaman Action Figure goes back to basics, based on the beautifully intricate designs of Jason Fabok, and captures the true essence of this DC superhero. DC Essentials is a line of 7-inch scale action figures depicting DC characters with universal appeal, accessible to both longtime collectors and those just starting out. Aquaman comes with is iconic trident and stands about 7-inches tall and features 21 points of articulation.